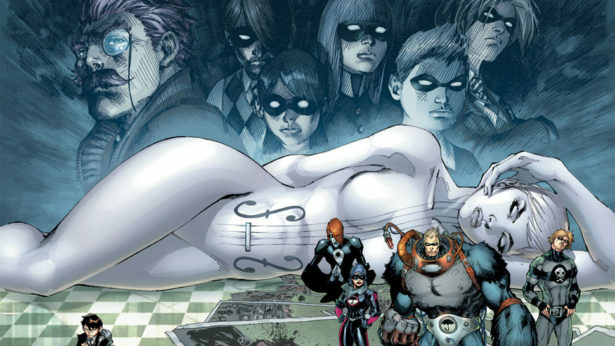 Netflix's Umbrella Academy adaptation has been racking up a radical cast, including Tom Hopper, Ellen Page, and Robert Sheehan, since it was first announced last year. Today it added another exciting cast member: R&B legend and the Oscar-nominated costar of Netflix's Mudbound, Mary J. Blige! Based on the contemporary cult classic comic book series by Gerard Way and Gabriel Ba, Umbrella Academy tells the story of a dysfunctional family of superheroes living in an alt universe version of 1977, reconnecting after the death of their father figure. Blige's addition is a massive get for the show, after she garnered Oscar noms both as a Supporting Actress and for Original Song for the astonishing Mudbound. Blige will be playing a character called Cha-Cha, whom the press release describes as "a ruthless and unorthodox hitwoman who travels through time to kill assigned targets. Even though she has a few gripes about the bureaucracy of her employers, this job is her life. She is sadistic, sociopathic, and her reputation precedes her. Her true love is torture, and she thinks of herself as a 'pain artist.' She really doesn't care for people—except for her partner Hazel." This is a really cool casting choice, especially as it veers aways from the Dark Horse Comics source material slightly where both Cha-Cha and Hazel were men. 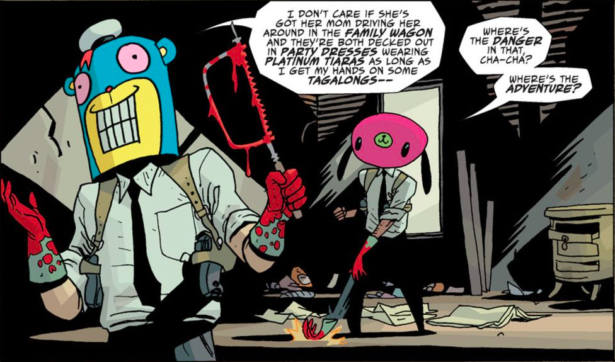 In the comics, Hazel and Cha-Cha are assassins who love torture, candy, and... oh, they also wear giant plushie animal masks. They work for a shady organization called Temps Aeternalis, time police who're committed to preserving the "timestream" by sending assassins like Cha-Cha and Hazel back in time to kill anyone who threatens the continuum. Though we can't know exactly how close to the comics the show will stick, the inclusion of Cha-Cha and Hazel confirms one thing: Umbrella Academy will likely be very, very violent. Lest we not forget these are the two characters who once cut off a chef's limbs to make him cough up his apple pie recipe! It's so great to see Netflix diversifying the cast of the comic adaptation; seeing as Mary J. Blige has signed on for a full season order, we can assume that Cha-Cha and Hazel will be playing a much larger part in the show than they did in the book. We'll be excited to see who they cast as Blige's partner in crime, and can't wait to see who else they add to this absolutely stellar cast before the show is released later this year! Are you excited to see the comic that Grant Morrison once called "X-Men for cool people" finally brought to the small screen? Can't wait to see what Gerard Way has been up to since My Chemical Romance? Just excited to see Gabriel Ba's vision come to life? Let us know in the comments! Who is Deadpool 2's hidden X-Force member?